It is finally March! Soon enough, the sun will be shining, birds will be singing, and mountaineers of the Blue Ridge will be able to come out and enjoy the warmth of the nature surrounding us. But with spring also comes spring cleaning, time to deep clean and declutter all of your belongings. Though this is not necessarily the most exciting spring tradition, it is a practice that all homeowners should adopt if they have not already. Spring cleaning is a chance to clean what may not get attention regularly, clear your space, and usually at the end there is an endless amount of garage sales to attend resulting from the spring cleaning that others took advantage of as well. Spring cleaning can be done very quickly with little thought given to it; there are so many tricks out there to make it worth your while and may even save you some time. If your problem with spring cleaning is not wanting to spend a whole day dedicated to it, a solution for you may be to start a spring cleaning calendar. This is a great way to keep yourself on track and get it finished without having to take up a whole day. For every day of the month, schedule yourself a small task that you will reasonably get done in addition to your everyday activities. After saving a small amount of time every day for the month, spring cleaning could be done with minimal effort! When scheduling times to clean/organize throughout the month, it is essential that you have the right supplies on hand to ensure you are spending your time wisely. Though there are many cleaning solutions out there, many of them are not the most environmentally safe products. Instead of these, there are various different replacements that you can make yourself. A lot of these replacements utilize the benefits of essential oils and other everyday household items. Baking Soda and Vinegar are two extremely common items that often used to clean drains, the oven, washing machines and more! When going through your things, there are a few tests you can do to decide whether a belonging is worth keeping or whether it should be retired. The first thing to think about is if the item has been used or even thought about in the past three months. If not, toss it. If it is something, you are a little bit more hesitant on, up the rule to six months. When it still has not been used, let it go. You are not going to need it. Another way to test this is to collect everything you may want to get rid of and keep it in a bag. If you find yourself needing it in the next three months, take it out. Everything remaining in the bag at the end of that time gets recycled/donated. An additional tip is to get rid of anything broken or worn down. Some specific things to think about getting rid of could be old clothes with holes or that no longer fit, books you will never read again or are ripping at the seams, old medicines, paperwork, etc. The key to purging your house is adopting somewhat of a ‘minimalist’ mindset. To get a better understanding of what this means regarding simplicity, read this article. Though spring cleaning is a great way to clean your space in depth, it could be made a lot easier if you keep up with cleaning year round. There are specific cleaning ‘due dates’ for different areas of your household. For example, on a weekly basis, you should be vacuuming and changing towels and sheets. But things like wiping down baseboards and garbage disposals (click here for a DIY garbage disposals refresher) can be done monthly, and deep cleaning your oven is okay to be done every six months. While practicing these tips, do not forget to practice good recycling! Recycle things you would typically throw away, and you can even hold a garage sale at the end of your purge! If that seems like a little too much for you, or you just want to do something sweet, donate whatever you are getting rid of! 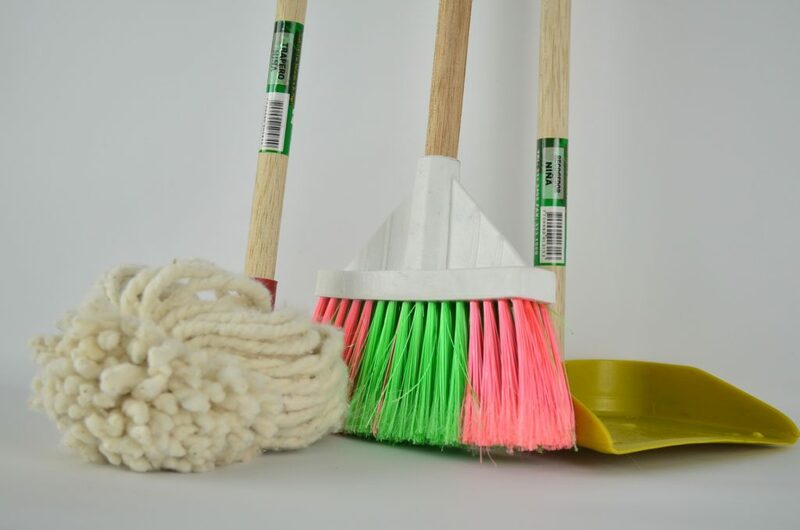 There are so many more tips that can help to ease the process of spring cleaning (and even cleaning regularly), but these provide a good start. If you are going to clean, you might as well make it count! Happy cleaning!